Join us this week for a few mid-week miles. New faces and all paces are welcome to join us! 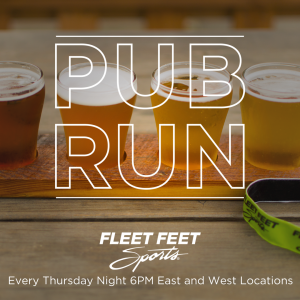 Thur March 8: Free pub runs up to 5 miles for all paces at 6pm with social hours following: Dexter's Pub Madison or Hop Haus Brewing Co. Verona Hop Haus is brewing a special Madison Shamrock Shuffle beer for this years event called 7 Leaf Clover Irish Red. Be the first to sample it after the pub run!